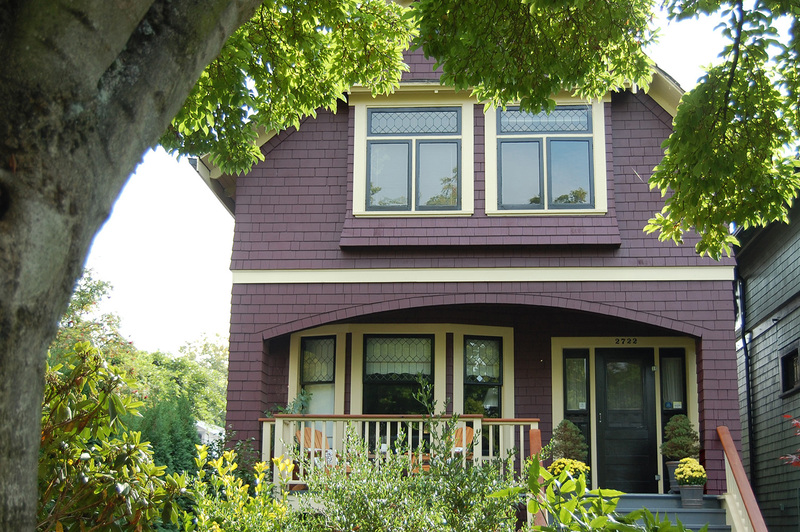 This Kitsilano Heritage house was expanded and underwent a comprehensive architectural restoration. The interiors and exterior of the house were completely restored with original architectural details and heritage colours. It has been added to the Heritage Registry. This house is located on a leafy street lined with heritage houses of the same era, in Vancouver’s Kitsilano neighbourhood.